The chair, designed by one of the projects dearest to Gio Ponti, the villa of Planchart collectors in Caracas of 1953-57, is part of the Gio Ponti Collection, curated by Molteni & C under the artistic direction of Studio Cerri & Associati. 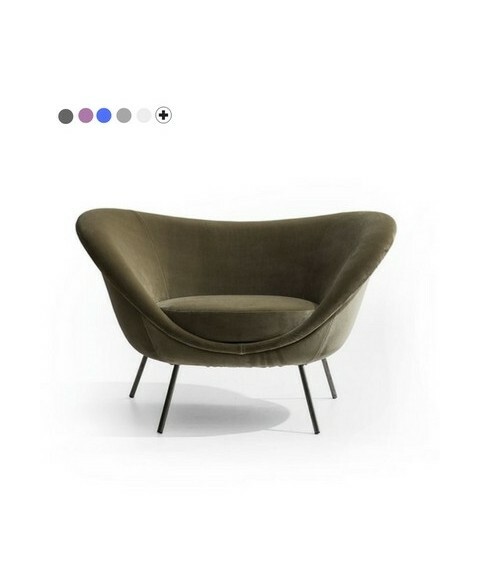 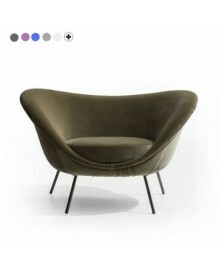 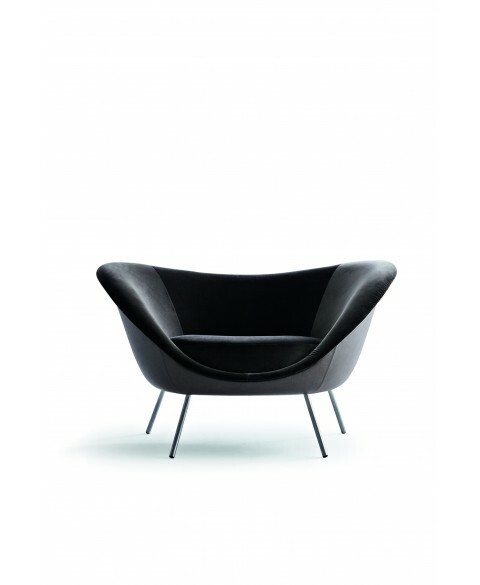 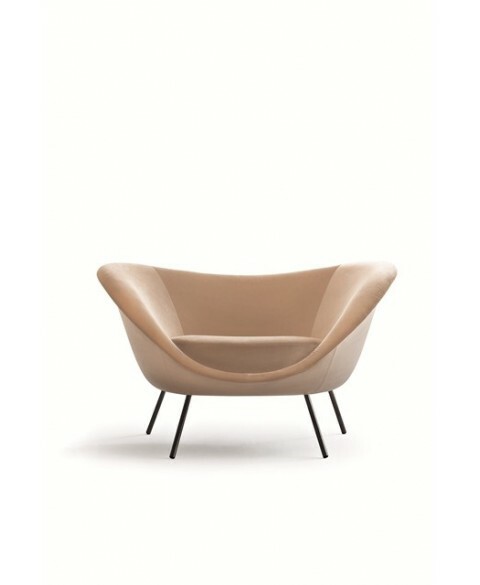 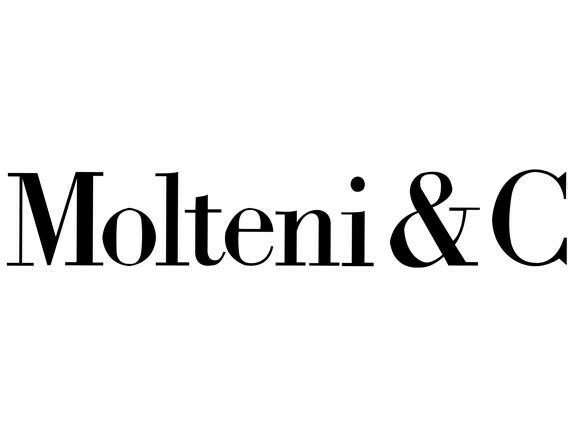 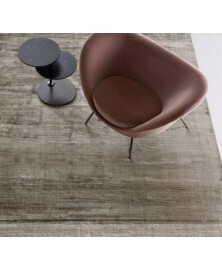 Today the chair, which is like a cozy shell, has a rigid polyurethane shell, a countershell soft polyurethane and a pillow, and is coated in the range of fabrics and leathers of Molteni & C, with the possibility of differentiating elements. 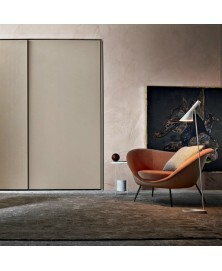 This "love chair" in 2016 won the prestigious Wallpaper Design Awards and become an icon Molteni & C.
A - All (external and internal) coated in the same category and the same color. B - Outside in leather, fabric inside.